The 9.8 Metre is probably the most versatile power boats in the KEVLACAT range. 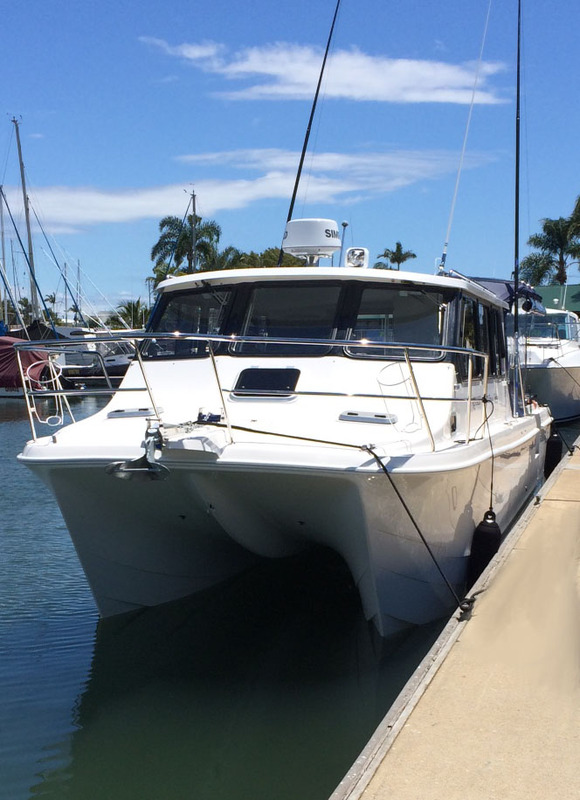 Available in several configurations including fully enclosed hardtop, flybridge or even an express version with tuna tower, there is a 9.8 Metre to suit everyone’s requirements. 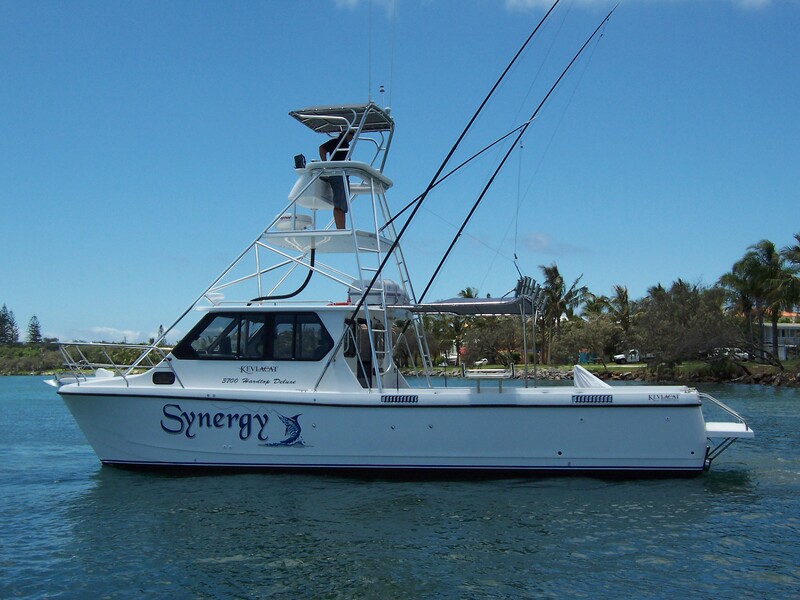 With an overall length of 37 feet this boat is no toy and subsequently has earned itself a reputation as one of the best sea boats in the country. No wonder it has been so popular with rescue organizations, commercial fisherman and charter boat operators. 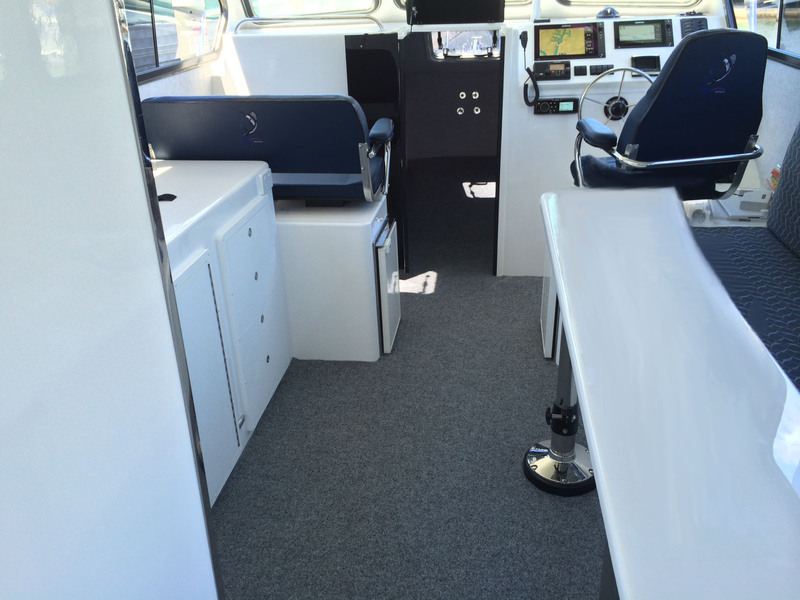 With constant refinements is interior design and layout the 9.8 Metre is also becoming more and more popular with family boaters who want the best of both worlds. 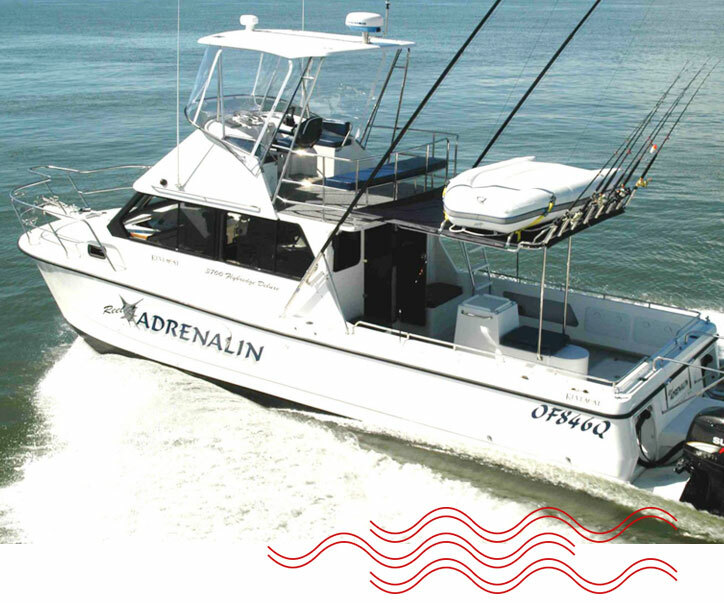 With space to burn it can carry out any task required and is just as happy trolling the continental shelf trolling for blue marlin as it is anchored up in a protected waterway entertaining friends. It’s also an ideal weekender. The hull is constructed of glass reinforced vinylester and polyester isothalic resin and chopstrand, reinforced with two layers of Kevlar unidirectional materials, layered up to U.S.L. specifications. All bulkheads and bearers are made from G.R.P. reinforced and laminated to the hull with stiffeners. Balsa reinforcing to forward sections of the tunnel. The transom is reinforced to 50mm thick to take all types of sterndrive engines. Superstructure F.R.P. chopped strand glass and divinycell core construction.